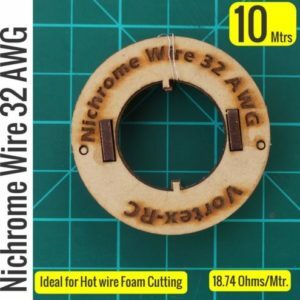 Nichrome Wire is the perfect choice of wire for Hot wire Foam cutting. This wire is pure Nickel/Chromium wire. 10 Meters in 32AWG with a resistance of 18.74 Ohms/meter. 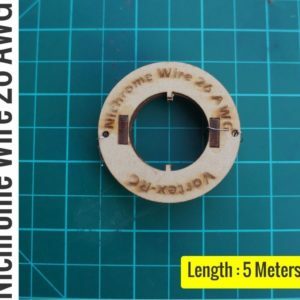 5 Meters 32AWG Nichrome wire – For Hot wire Foam cutting. Nichrome Wire is the perfect choice of wire for Hot wire Foam cutting. This wire is pure Nickel/Chromium wire. 5 Meters in 32AWG with a resistance of 18.74 Ohms/meter. 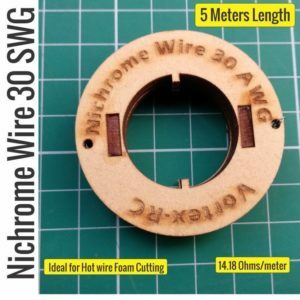 Nichrome Wire is the perfect choice of wire for Hot wire Foam cutting. This wire is pure Nickel/Chromium wire. 5 Meters in 28SWG with a resistance of 9.9 Ohms/meter. 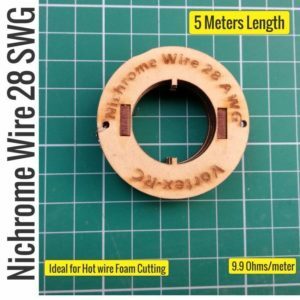 Nichrome Wire is the perfect choice of wire for Hot wire Foam cutting. This wire is pure Nickel/Chromium wire. 5 Meters in 30SWG with a resistance of 14.18 Ohms/meter. Nichrome Wire is the perfect choice of wire for Hot wire Foam cutting. This wire is pure Nickel/Chromium wire. 5 Meters in 26SWG with a resistance of 6.6 Ohms/meter.